Using multiple data sources in a single Klip – How can we help you today? 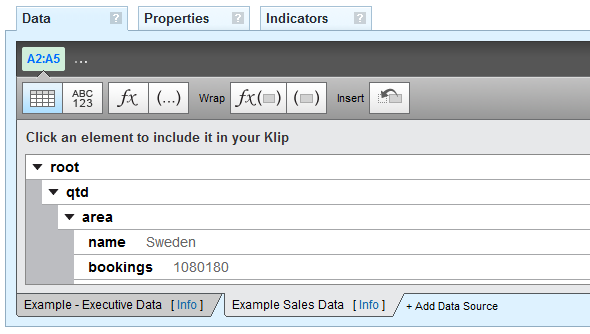 You can assign multiple data sources to a single Klip. This gives you great flexibility when conveying in-depth information on your dashboard. Note: You can only add existing data sources to a Klip. If you want to use a new data source, create a new data source in the Library. 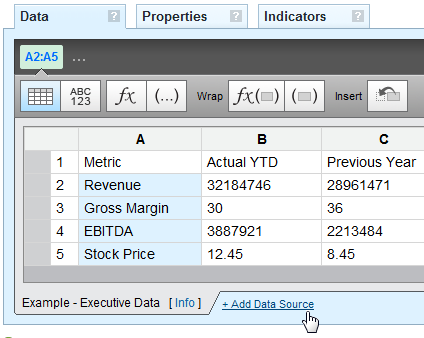 In the formula bar, select the column or row reference that you want to add new data to. For example, A:A.